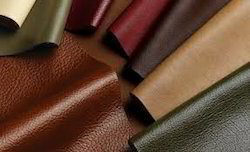 Our company is highly esteemed in providing Finished Leather to the clients. This product is manufactured under the stern guidance of our skilled professionals with the aid of advanced techniques. This product is available in multiple options of colors, finishes, patterns and designs according to the demands of our valuable clients. Supertan Impex came into existence in the year 2015. We are based out as a Partnership firm and performing our business activities from Chennai, Tamil Nadu (India). Manufacturing, wholesaling and supplyingis our nature of business. Our portfolio includes Stretch Leather, Vegetable Tanned Leather, Wet White Leather, Men's Leather Pant, Men's Leather Jacket, Men's Long Leather Coat, Wallet, Shoes, School Shoesand many more. We are carrying 25 years experience and know-how about the respective domain. We follow ethical business standards and norms of the industry, with an aim to maintain healthy environment in the company. We have installed latest technology in our organization in order to manufacture optimum quality products. These products are manufactured in compliance with the diverse needs of the customers. Moreover, our experienced team of professionals efficiently monitors every task related to manufacturing, quality and marketing in a best possible manner. Beside this, we procure the material from the best vendors of the market. Our vendors make sure that the material is best in quality & timely delivered to us. Further, we deliver our products after the severe check on the quality under various parameters. Our quality inspectors monitor the products at our quality testing department.